On April 15, a new type of anti-UAV radar, which is developed by the team of Prof. Wan, made a debut appearance in the security guard of Wuhan marathon, accomplishing the detection mission of “low, small, slow” aircrafts and providing the security guard for the race successfully. With the popularity of “low, small, slow” aircrafts like UAVs, “Illegal Flight” at a low altitude poses great challenges for the security guard of major events. There were 24 thousand athletes from 29 regions and countries in the race, including all the staff and the audience, which was an extremely people-intensive activity. 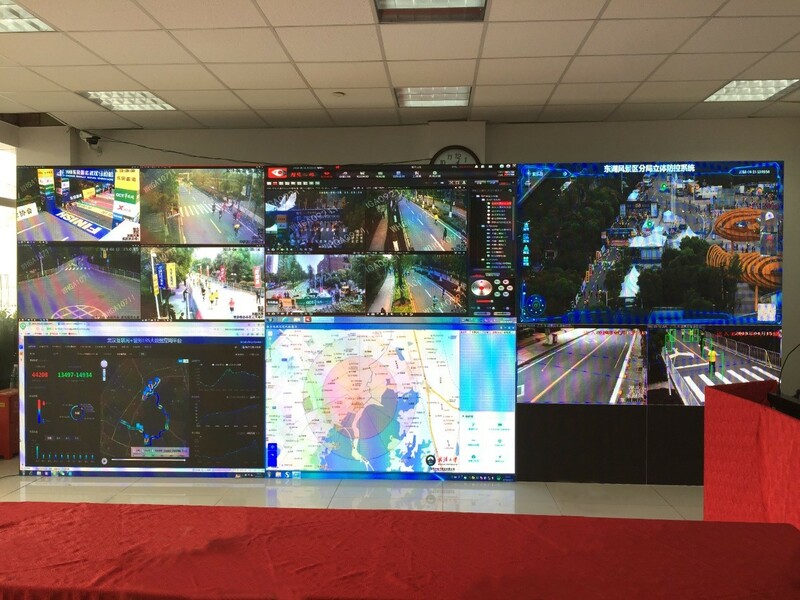 In order to avoid the interference of UAVs, Wuhan public security bureau invited related research teams from our college to provide low altitude surveillance for the race terminus Happy Valley square. The team carried out a survey of the important surveillance area 2 days in advance, making a detailed working plan and implementation scheme. In the face of the complicated application environment, the team solved a set of practical problems in time in the process of equipment installation and debugging, promising the detection performance and stable operation of radars. In the marathon, targeted information acquired by radars was presented in real time on the big screen in security guard headquarters, and displayed visually the security situation of important area, which help to detect and identify suspicious targets in time, completing security guard task successfully at the end. Peng Lei, the police commander of Wuhan Public Security Bureau, and other leaders made an inspection of the scene. They all spoke highly of it.